I’m betting the PMS relief has a lot to do with the magnesium too! Google the effects of deficiency. Anxiety attacks and Heart palpitations. That stuff is magic :). Like you, my list is lengthy. 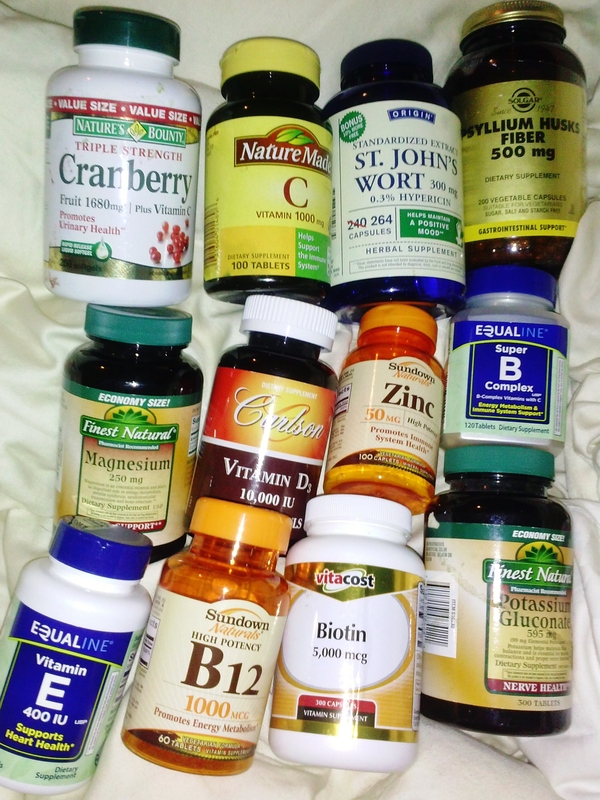 A bunch of Bs, magnesium, omegas, probiotics, and high Cs and Ds. And my FAVE: adrenal cocktail at bed. Sleep issues? Try 1/2 cup OJ, 1/2 tsp sea salt (Celtic, etc), and 1/2 tsp cream of tartar (for the potassium). TDF.